Cut a piece of cardstock to size and fold to form card base. Emboss a sheet of patterned paper using the Cobwebs embossing folder. Apply ink or paint to brayer and roll over image. Trim and adhere to card front. Stitch on one side. Punch a circle out of cardstock. 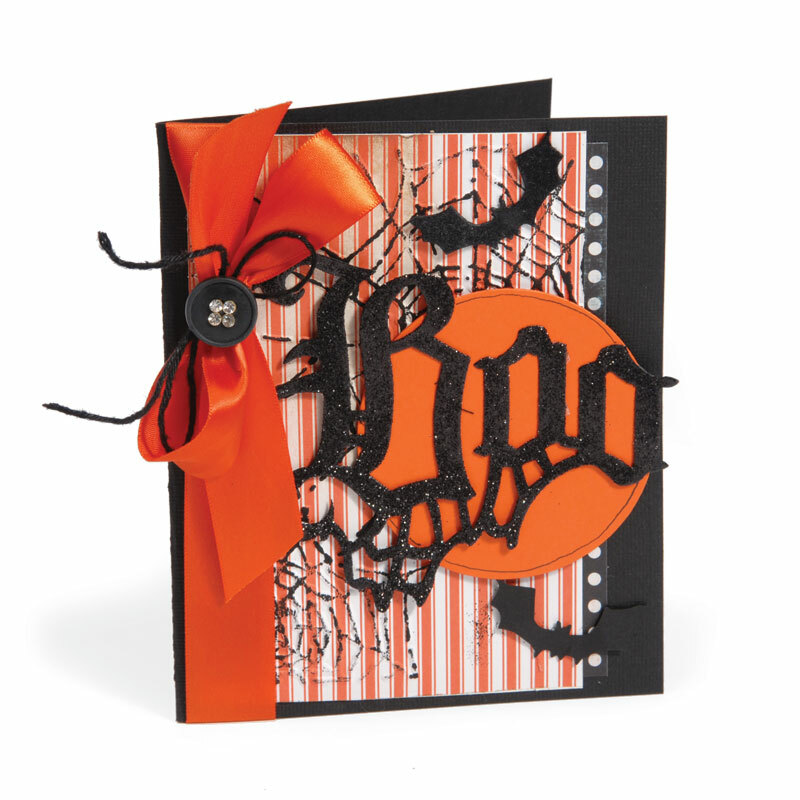 Die-cut Gothic Boo out of cardstock, embellish with glitter and adhere to the circle. Attach to card using foam dots. Wrap a ribbon around the card front and tie in a bow. Embellish with a threaded button. Die-cut Bats (from Bewitching Hour) out of cardstock, embellish with flocking and adhere to card. This is definitely a "WOW" card. The best card I've ever seen on your blog. I'm so glad I looked today instead of deleting the announcement of your blog post as I've been doing for a while now.